Our laundry room is a laundry closet. 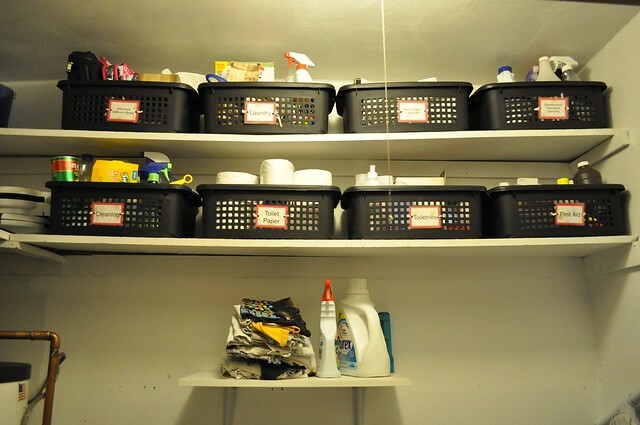 Above the washer and dryer, I have old shelves that I use to store cleaners, toiletries, and all kinds of odds and ends. My shelves were a mess (I didn't take a before shot! ), so I knew I needed to do something to organize it better. I have big dreams for this room, but if they ever happen it won't be for years and years and years. So, for now, I must make do with what I have. This summer we might try to paint the walls, but I have a pretty big to-do list for the summer, so I doubt we get to it. So, on to the organization! I bought these black bins at walmart. I was hoping to find what I needed at the dollar store, but they didn't have the size I wanted. I tried to organize everything into different categories. 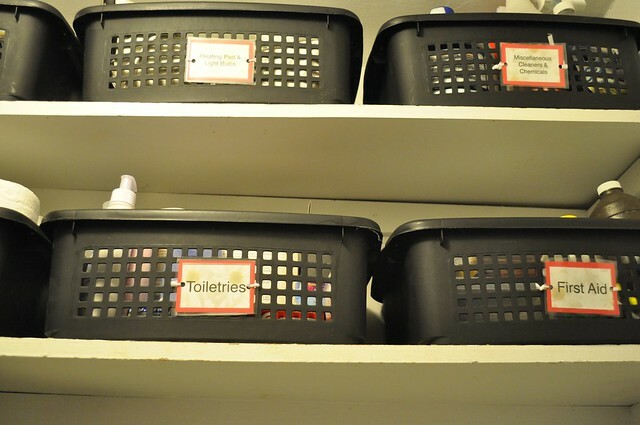 In case you can't read them, my categories are: Kleenex and bathroom buddies, Laundry, Heating Pad and Light Bulbs, Misc. 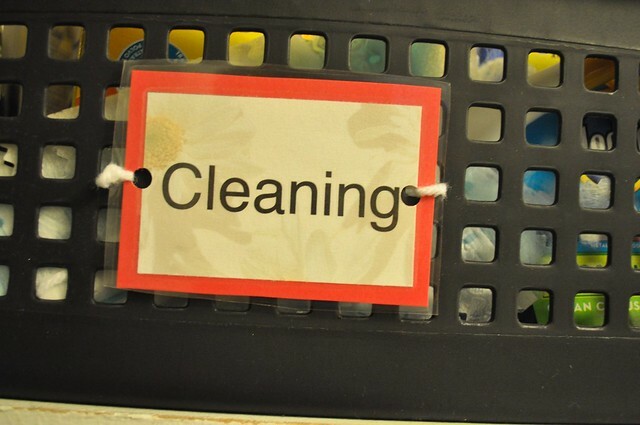 Cleaning and Chemicals, Cleaning, Toilet Paper, Toiletries, First Aid. I put the things we need to access frequently on the bottom shelf and reserved the top shelf for things that I don't use as often. I then printed labels, laminated them, and tied them on with ribbon. Voila!